You know what a good use of law enforcement resources is? Detaining old women for attempting to sell moon rocks and space shuttle pieces. Of course, NASA is one of the many federal agencies with their own police force. One thing they decided to use this police force for was setting up a sting to catch a woman selling a piece of a space shuttle and moon rock she had received from her deceased husband. NASA claims ownership over all space shuttle pieces, and therefore assumed the woman was selling stolen federal property. But her husband used to be an engineer for NASA and had received the space souvenirs from his employers. NASA didn’t have to work hard to catch this 75-year-old widow. She contacted them! But rather than politely inform the woman what she was doing may be illegal, agents set up a sting to meet the woman in a parking lot and exchange the contraband. Six armed agents detained her for two hours in the busy parking lot, during which time she wet her pants, presumably because she was afraid. NASA declined to press charges; they are so forgiving. The woman was selling the items in an attempt to raise money for the medical car for her sick son, who has since died. Her youngest daughter also died, and Joann took responsibility for her grandchildren. She decided to try to sell the paperweights and contacted auction houses without success. She finally emailed NASA for help in finding a buyer for what she called “rare Apollo 11 space artifacts.” She explained how her late husband had received them. An appeals court will allow the woman to sue NASA. Because of sovereign immunity, the government can actually decide whether or not to allow people to sue them. Of course what will likely happen is she will waste money and time in court, and still not get justice for the way she was treated. This just makes you wonder what is going on in the minds of these government agents. Who was seriously concerned about specs of a space shuttle and moon rock trying to be sold? Who thought it was appropriate to pursue a sting of a woman who contacted them! This is what happens in bureaucracy. There is no sanity, no thinking feeling human being behind the actions of government. And if they will do something like this automatically, it makes you wonder just what else they will do, how far they will go to do their duty to enforce the laws of the United States government. Let’s start with an extreme case. A case that has been roiled in emotion for decades. A case that triggers people into making all sorts of comments. At quora.com, there is an interesting Q and A. The subject is the Nazi holocaust. The question is: Why is holocaust denial a crime in some countries? That’s quite a far-reaching assertion. It’s obvious that a) someone might come to the conclusion that the holocaust didn’t happen and b) he has no political agenda. Whether that person’s conclusion about the holocaust is true or false is beside the point. And even if that person did have a political agenda, why should his comments about the holocaust be suppressed? Doubting or denying the holocaust “denies families the right to mourn” their loss. I’m talking about a person who claims the holocaust didn’t exist. A person who would make an argument against the holocaust by presenting what he believes is evidence. This approach is against the law in Germany and other countries. I fail to see how such an argument denies victims the right to mourn. Because you believe you are a victim, because you know you are a victim (use any formulation you want to), someone else who claims you’re not a victim actually prevents you from mourning your loss? I think we can look at groups all over the world, down the long trail of history, who have been persecuted, and we’ll see that no one prevented them from mourning, even in the most dire of circumstances. In fact, there were occasions where someone denying the persecution ever happened would have been the least of the victims’ worries—because the violence against them was continuing for decades. And still they mourned. There is, of course, another reason given for banning holocaust deniers. Their speech, even if not intended to provoke, could incite others to commit crimes against the victims. This is the “one thing leads to another” argument. On that basis, countries and organizations could ban all sorts of language. The slippery slope has no limit. There are all sorts of reasons for denying the right to free speech. And there are all sorts of reasons for closing out reasonable debate. Look at what has been happening on American college campuses. A group wants to bring in a controversial speaker, so students (and paid agitators) riot. College is supposed to be the place where all sides of an issue can be aired and analyzed. Instead, we get violence. What are these college students learning? What are they not learning? They’re not learning the power of their own minds. If they were, why would they be angry? Why would they be afraid to listen to a person with whom they profoundly disagree? If someone wants to stand at a podium in a college hall and say Donald Trump is the greatest president in the history of the United States, so what? If someone wants to say Hillary Clinton is a genius and Bernie Sanders is a fool, so what? If someone wants to say college students should stage a revolution by refusing to pay off their loans, so what? If someone wants to say all college freshmen should study Karl Marx and only Karl Marx, so what? Is the sky going to fall? Suddenly, many students are going to realize they can’t argue rationally. They don’t have the tools. And that makes them nervous. They move into the role of agitators, because they’ve got nothing else. Suddenly, they’re against free speech. Instead of making people smarter and sharper, instead of bullet-proofing them against propaganda and anti-logic, instead of educating them so they’re immune to slogans and obvious fallacies, instead of educating them to live in a society where free speech is elevated beyond shouting matches, we are seeing myriad excuses for disallowing free speech. There is no limit to the excuses. Tomorrow, someone is going to dream up a new one. Numerous players these days are saying political content on the Internet has to be monitored. They have their covert agendas. But beyond that, there is no reason to monitor political speech. If people can’t deal with competing politics, they need to fortify their IQ. They need to become smarter. That’s the answer. If we live in a sewer of propaganda, we need to climb out of the sewer. I could go on with the topic of free speech for another 10,000 words, but I’ll end off, for the moment, with this. Look for the “special case” argument. The strategy: a group has been oppressed, and they deserve compensation and justice, AND part of justice is ensuring that language is never used to criticize the group, because they are special, owing to the amount of persecution that has been visited on them. This particular group is different. They must be served. They must never be discussed in terms that, even vaguely, could be construed as negative. But wait. There is another group, and it, too, is special. And pretty soon, free speech is walking around with canes and crutches and sitting in wheelchairs and tubes are hooked up to it. Even worse, people are focused on the issue of free speech as if it consists of nothing more than nasty remarks; and the burning question is, who has a right to be nasty, and in what situations, and for what reasons? Whereas, the intent and hope for free speech was that it would rise higher and elevate into conversation that actually sought the truth, and examined basic principles on which that truth would stand. Where fear of an idea didn’t exist. Well, sure. Wouldn’t you? The woman is running for the presidency of France. She wants to reverse the tide of immigration in her country, so she must be a racist, and whatever she says or whatever anyone else says in support of her is, automatically, fake news, mindless, evil, and the population must be protected from that infection. This is how free speech works. It’s free unless it could do harm, unless certain minds might be taken in by it, and apparently Facebook is stepping up to the plate. Mark Zuckerberg is long overdue for a Nobel Peace Prize. Currently, the state of California requires all children to be force vaccinated with the entire schedule of CDC “recommended” vaccines in order to be able to exercise their right to attend public school and get an education. It doesn’t matter if any of those children are allergic to mercury, aluminum, polysorbate 80, African green monkey kidney cells, genetically modified bacteria, neomycin (an antibiotic), human serum albumin (other people’s blood), formaldehyde, monosodium glutamate (MSG), bovine extract, gelatin, calf serum, or sodium chloride. Every child must be injected with all of these ingredients, without being tested for allergies against them first, as they are all listed and contained in the CDC’s “excipient” list of vaccine ingredients, in case you have any doubts. 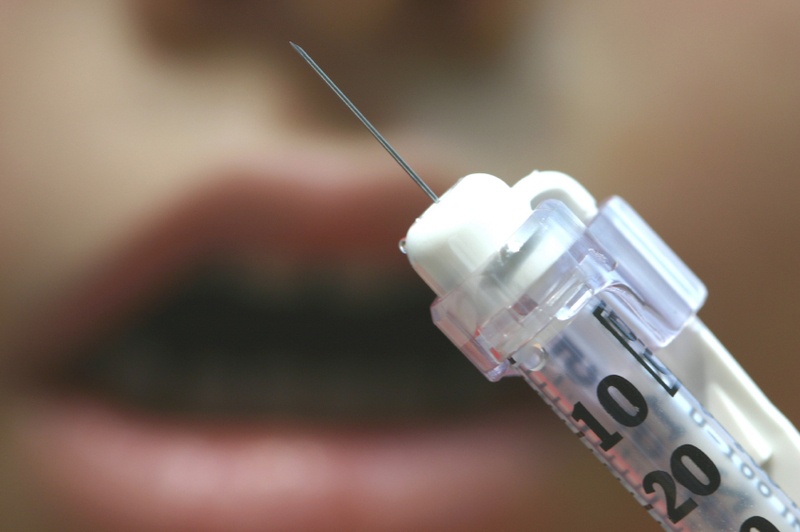 How many other U.S. states will soon demand forced vaccination for all children? Even though penicillin, an antibiotic about 5 to 10% of the U.S. population is allergic to, is not currently a vaccine ingredient, does it matter? Did you know many vaccines are made with a peanut oil extract, but it’s not listed because only “trace amounts” remain? Nearly 2 million U.S. children have severe peanut allergies. Coincidence? Are those trace amounts enough to cause severe allergic reactions? You bet they are, along with unnatural, violent immune system reactions to injecting human blood, monkey kidney cells, cow’s blood, chicken embryo and live viruses combined from different strains. Penicillin allergy occurs because certain children’s immune systems mistake the drug as a harmful substance, often because the drug is injected with several viruses, bacteria, chemical adjuvants, foreign proteins, human pooled blood samples, and other experimental excipients that have never been tested for safety, allergies or for their neurotoxic effects on humans. Children in America are guinea pigs, including infants and babies still in the womb. Mercury is toxic to humans at any level, even if only eaten or when it touches the skin. Imagine what’s happening when it’s shot directly into body tissue through a needle. If the human body detects and identifies these chemicals, drugs, and foreign proteins as harmful substances, it develops antibodies to them, even if they are mixed with powerful antibiotics. The second and third time those same drugs and chemicals are injected into the child, the reaction can be violent, brain damaging, central nervous system damaging, and yes, sometimes lethal, just like with penicillin. Since 5 to 10% of the U.S. population is allergic to penicillin, if you injected everyone today with a penicillin-loaded vaccine, millions of people would suffer a severe allergic reaction, and many would die. There are more than 300 million Americans. If just 2% had a lethal allergic reaction to a penicillin inoculation, that would equate to about 6 million deaths. That’s how many people were murdered in the Holocaust. Now if you injected 300 million Americans with mercury, aluminum, formaldehyde, polysorbate 80, MSG, and African green monkey kidney cells, and just 2% of those people had a severe allergic reaction where their immune systems went into shock and their brains were damaged by the neurotoxins, there would be about 6 million people with autism spectrum disorder (ASD). A new government survey of parents suggests that 1 in every 45 children ages 3 through 17 have already been diagnosed with ASD. This number is much higher than the CDC estimate, and for good reason. There are approximately 80 million children in the U.S.A. now. That means there are about 2 million children diagnosed with some form of autism, and many, many others who are suffering from vaccine damage that’s not diagnosed as ASD. When will that number equal or surpass 6 million? Statistics show that every other child in America will have some form of autism by 2032 – that’s 40 million children and just 15 years from right now. Nearly 4 million American kids today have either severe peanut allergies or autism–wonder why? The next time those autistic children are injected with the same drugs and chemicals, including the mercury-loaded influenza vaccine, a.k.a. the “flu shot,” specific antibodies will flag the dangerous concoction once injected into muscle tissue and blood, and the chemicals released by this activity cause the signs and symptoms associated with severe and often lethal allergic reactions, just like with penicillin. Get it? Signs and symptoms of allergic reactions to injecting vaccine ingredients like peanut oil, formaldehyde, MSG, sodium chloride, aluminum, human albumin, aborted fetal cells, monkey kidney cells, gelatin, neomycin and mercury include: skin rash, hives, itching, fever, swelling, shortness of breath, wheezing, anaphylaxis, central nervous system damage, brain damage, nausea, abdominal cramps, rapid pulse, drop in blood pressure, seizures, loss of consciousness, coma, and death. Some severe allergic reactions to vaccines occur days or weeks after the concoction is injected. Ask your doctor if vaccines contain experimental excipients. Ask the nurse for the vaccine ingredients insert and read every ingredient aloud in front of the doctor and your child. You should be aware of the biggest medical fraud cover up in the history of medicine. Here’s what you can do right now to combat the insanity. Posted on April 10, 2017 Categories Big Pharma, Big Medica & Conventional Medicine, CDC, Civil Rights, Freedom, News, Toxins, VaccinesTags alternative health, Aluminum, ASD, Autism, Autism Spectrum Disorder, CDC, Civil Rights, formaldehyde, Freedom, Medical Tyranny, Mercury, MSG, penicillin vaccines, Polysorbate 80, Vaccines, VAXXED1 Comment on What if a mandatory penicillin vaccine were forced onto every child in America starting tomorrow? Bombshell: How Far Did Obama Spying Go? In other words, US intelligence agencies, under Obama, were spying on Trump associates—and Rice obtained the names of those associates, which are supposed to be kept confidential. Leaking the names to the press, in the current political atmosphere, would result in the impression that Trump associates were having improper conversations with foreign leaders, or even “colluding” with them. Lots of innuendo here. The Susan Rice spying scandal points to what? More. Other Americans the Obama team spied on. Other Americans who were opposed to the Obama agenda. Other Americans who were critical of the Obama administration. Other Americans who were exposing the Obama administration. For example, former CBS star investigative reporter, Sharyl Attkisson—who has sued members of the Obama team and several federal agencies. That lawsuit has just been referred to another venue by the judge in the case. He could have dismissed the suit, but he didn’t. He wants it to proceed. He wants Attkisson to have her day in court. You might remember Attkisson was uncovering highly embarrassing details about the gun-walking operation, Fast & Furious, and the attack on the US diplomatic mission in Benghazi. She was making the Obama administration extremely uncomfortable. Spying, surveillance, harassment, interference, attempts at intimidation. Are you noticing any significant mainstream news coverage of this case? Of course not. Ordinarily, mainstream reporters protect their own colleagues, but here there is silence. Let’s call it what it is: PARTISAN POLITICAL SILENCE. Memo to the new Attorney General, Jeff Sessions: You could launch your own investigation into the Attkisson case. Bring it front and center. Uncover all the nasty details. Expose the perpetrators. Posted on April 6, 2017 Categories Big Brother, Big Government, Civil Rights, News, Politics, Spying & PrivacyTags Big Brother, Big Government, Civil Rights, Obama, Privacy, Sharyl Attkisson, Spying, Susan RiceLeave a comment on Bombshell: How Far Did Obama Spying Go?